We have all heard the buzzword ‘Keyword’ and most of us know what it is. 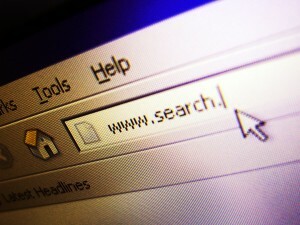 Most of us don’t know what a huge impact the correct keywords can have on the amount of traffic your website receives. Properly chosen and utilized keywords are at the fundamental core for improved search engine rankings. Poorly chosen keywords can mean continued oblivion for a non-ranking website. At first glance, the process of picking keywords seems easy – they’re just words that are related to your site right? Not necessarily so. Learning what rules govern keyword selection and using select tools to analyze and choose words is imperative for the success of any website. Its important to recognize that keywords are about much more then simple terms that relate to your site. Take some time to analyze your competition. Take a look at other websites in your niche market and review their keywords. Keep in mind that you are not just trying to list the same keywords to target as your competition does. You want to also find unique keywords; keywords that may be more targeted or specific. If you are selling products think of specific or specialty subsets or usages of your products. A key point: 60+% of all searches involve MORE THAN 4 WORDS. This should tell you that people are searching for specific things because they have learned that the more specific they can be, the more relevant the search results will be. You want to be there; you want to meet them at the common meeting point; page 1 of Google. It’s a great idea to use one of the many keyword tools that are available on the Internet. Many of these tools are free and will help you to develop a list of relevant and popular keywords for your site. Often these tools will provide you with a ‘relevance percentage.’ This number will let you know just how many people are likely to use that keyword to search for your site. These numbers can be invaluable, but remember to use some common sense as well. You have go get ranked high in any case because 68% of searchers don’t go past the first page and 98% don’t go past the 3rd page. Never forget that while there is definitely a ‘science’ behind choosing keywords, it is also an art form. Language is inherently beautiful and if you rely solely on the science, you may miss out. Let me explain. You may have a photography studio located in Brooksville, Florida. It might be tempting to use a keyword phrase like photography Brooksville, Florida (note the missing ‘in’). How would you incorporate that phrase into your website content? Grammatically, you can’t! You want to ensure that your keywords can be intelligently written into the content of your site. Your readers will notice if your content is little more then a list of nonsensical keywords, so be sure to pick keywords that rely on language and grammar as well as science and analytics. Remember, keywords are just the beginning of SEO. Competing for them involves a commitment to regularly publishing new content that is highly relevant to those keywords. As all frequent visitors here know by now, content is the mother’s milk of SEO. You must always start, however, with great keyword research so that when you do write your targeted content, you and your website strategy will in fact be on target. Contact us and we will help you generate a profitable keyword list to target.